I was brought up in Mauritius and still think of it as home. I’m a published writer and a teacher of creative writing but have not, as yet, managed to get any of the four novels I’ve written published – I live in hope. I’m married to my best friend and we have 3 sons. I believe in total equality for and fairness to all. 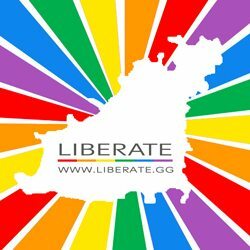 My reasons for being part of Liberate are many and various, but the main movers for me are the fact that my eldest son is gay and so is my closest female friend and I know what life can throw at them. I feel very strongly that it’s about time Guernsey people embraced diversity and opened their hearts and minds to all.